In 2005 legislation was passed creating the Community Investment Act (CIA). This law created a dedicated fund that supports four sectors, Agriculture, Open Space Conservation, Affordable Housing and Historic Preservation. Funding for these programs originates from a $40.00 surcharge on real estate recording fees. The CIA program has been generating up to $25 million per year with the monies being placed in a dedicated fund. A significant portion of Department of Agriculture programs are funded through the CIA funds. This CIA has been extremely successful directing more than $133 million towards saving hundreds of acres of farmlands, restoring historic buildings, supporting agricultural programs and affordable housing. This program has touched almost all towns in this state. This year Governor Malloy proposed, in his budget, to divert any currently unspent money from the CIA fund as well as any income going to this fund through 2017 to the general fund. Our Legislators must not let this happen. The CIA fund was created so that it was not part of the budget and would always be available for the particular programs. Some of the programs that will be affected are the Agricultural Sustainability Account (Dairy Support Program), Farmland Preservation, Ag Viability and Farm Transition Grant programs, Connecticut Grown program, CT Farmlink, Seafood Advisory Counsel, CT Farm Wine Development Council and the CT Food Policy Council. If the funding is eliminated, these programs and more will disappear. The Community Investment Act has been extremely effective in stopping the loss of precious farm land for development of strip malls. We should note that Connecticut agriculture is a $2 billion industry with 2000 permanent jobs. 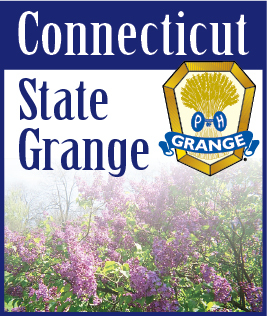 The Grange has already submitted testimony to the Finance Revenue and Bonding Committee objecting to the diversion of these funds and requesting that this program be left as it is. The budget process is still evolving and probably will not be finalized until the very end of the Legislative Session in June. We must all continue to pressure the legislators to not vote on a budget that will eliminate the funding for the Community Investment Act. The Governor’s budget bill is S.B. 946 AN ACT CONCERNING REVENU ITEMS TO IMPLEMENT THE GOVERNOR’S BUDGET. I encourage all to contact their local Senate and House members encouraging them to maintain funding of the Community Investment Act. This loss of program funding will affect both rural and urban communities. You can locate your legislator and how to contact them by going to the State General Assembly website - http://www.cga.ct.gov/.